Coleus forskohlii has been a part Ayurvedic herbal medicine for centuries. Extracts from the plants roots have been used for centuries in Ayurvedic medicine to treat various diseases such as hypothyroidism, heart disease and respiratory disorders. In the early 1970's researchers isolated a unique chemically active extract from the herb and called it forskolin. Other Ingredients: gelatin (capsule), maltodextrin, magnesium stearate and silica. 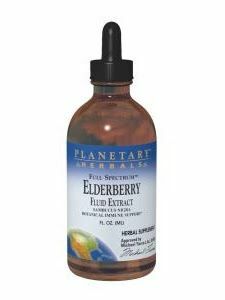 Planetary Herbals offers the best of classic herbal traditions, from Ayurvedic and traditional Chinese herbalism to the experience of Western herbal practitioners. Utilizing the knowledge of more than 30 years clinical experience, professional herbalists such as Michael Tierra, Lesley Tierra, Jill Stansbury, and Alan Tillotson, Planetary Herbals is committed to ensuring that our time-tested herbal traditions continue to evolve, grow, and flourish. Question: can you take this product while on birth control pills? if not why? A: There is a warning on this product to not take with a contraceptive such as birth control as forskohlii may have an adverse reaction to it. A: Forskohlii Full Spectrum (130 mg, 120 caps) is available at www.seacoast.com. We do not have a store in India. You may place an order to be shipped to India. A: If you are taking any prescription medication you should consult with your physician before adding to your routine to find out any safety precautions and any alterations in the dosage if any.